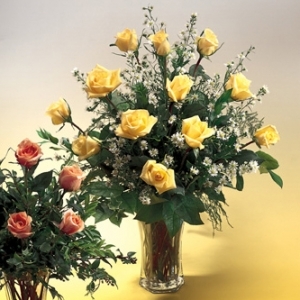 Dozen Yellow Roses long stemmed arranged in a vase. Roses other than red may need 24-48 hour notice. Please call for availability.